In April 2000, Mark and Terri Perkinson founded Perkinson Construction, LLC in Prince George, Virginia. Since starting with one backhoe, one dumptruck, and one employee, Perkinson Construction has grown into a premier utility/site preparation construction company in the Richmond Tri-City areas, reaching as far as Washington D.C. and Tidewater, VA.
High performance has always been the standard and has helped establish the company’s reputation of unparalleled performance, allowing them to meet the most difficult tasks in this ever-challenging industry. This degree of professionalism has carried over to the next generation of this family-oriented company by the inclusion of Mark and Terri’s son, Buddy, to the company. Buddy is committed to continuing the traditions of Perkinson Construction, assuring a continuation of the company as a responsible corporate neighbor as well as a valuable sub-contracting partner. 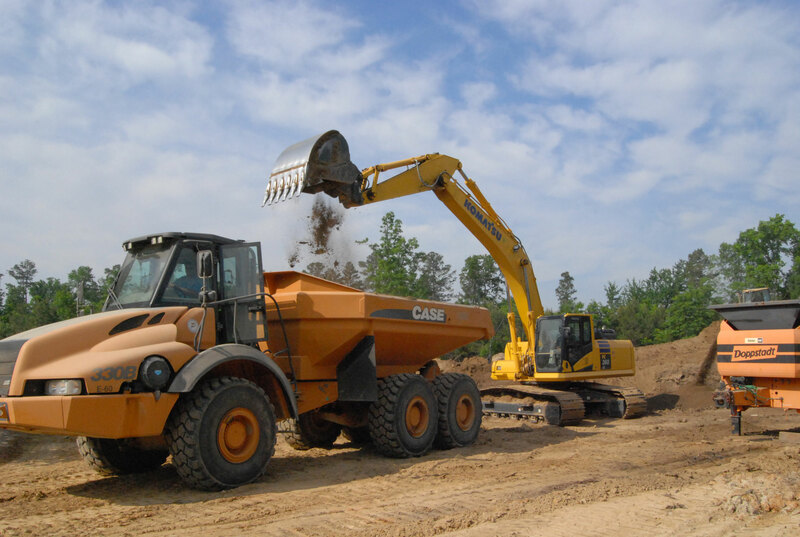 As both a SWAM certified enterprise and a VDOT pre-qualified contractor, we meet federal and state qualifications for bidding and contracting government projects.